Low abv beers often fall into the trap of being a bit on the thin side, not this one though, this is a beast of a beer. 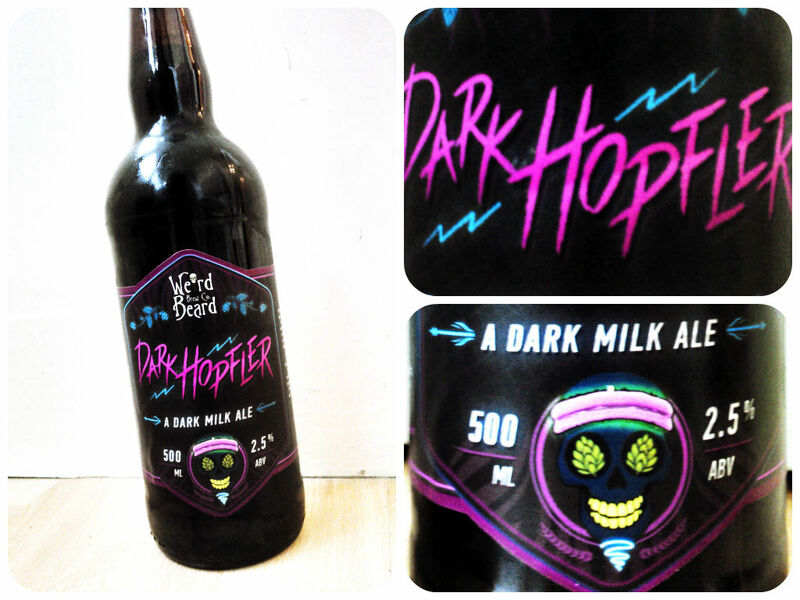 At 2.5% Weird Beard’s dark milk ale- Dark Hopfler (inspired by the mighty sounds of Dire Straits) is just as mighty as any 5 or 6% stout (or any classic Dire Straits record for that matter). Dark Hopfler pours as dark as a good, black coffee with added frothy, creamy head and it’s aroma is all about the rich, deeply roasted coffee hits. Coffee again on the palate in this full bodied, deeply complex beer which also boasts a smokey edge and pecan nuttiness alongside those coffee notes. This is a beer of two halves though, a Jekyll and Hyde act that two’s and fro’s between these rich, roasted coffee, nut & smoke hits and that of the hops- grapefruit, orange pith and florals. This tug-of-war is kept in-check by the sweetness of the milk, tying it all together before a dry finish comes in and wraps up what is ultimately an astonishingly robust and complex beer for it’s 2.5% abv. Only 2.5%? I’ll take seven! Haha! Yeah, it’s remarkable, get some!